The population of the elderly is growing at a significant rate with about ten million people expected to receive generous long-term care (LTC) in the near future. This raises a lot of concern in various government and private bodies on how these individuals can access this care, the cost, quality and distribution of care and support. The support and care for the older patients can be categorized into two groups: The ADLs (Activities of Daily-Living) that provide general support to the basic necessities such as dressing, food, bathing, using a toilet, and getting out of bed/chair and into it; and IADLs (Instrumental Activities of Daily-Living) which give support to other common tasks such as shopping food items, managing medications, preparing food and using transport facilities. Long-term care should be provided extensively to the older adults as long as they live. 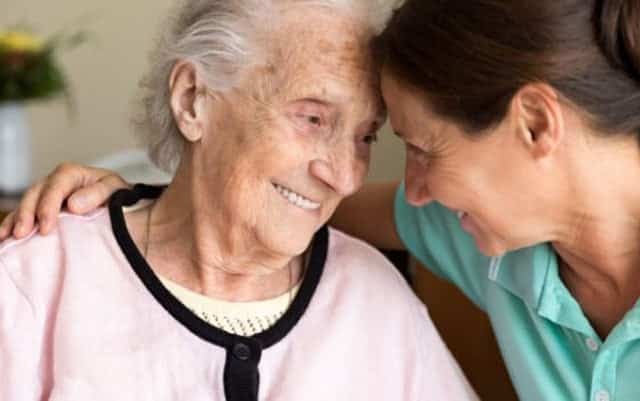 Additionally, it should be clearly understood that this care is not only meant for the elderly but also their families who are always at their service when they need primary support at home. Statistics show that in the near future, a large number of older adults will require a great deal of care and support due to the changing levels of mental, psychological and physical disabilities, and chronic diseases, raising a consideration to provide the necessary assistance with both IADLs and ADLs. Cost and efficiency are one of the major matters of consideration. For instance, in 1985, the amount of money spent on the LTC totaled about $45 billion according to the 1987’s Congressional-Budget-Office. Most of the budget went to spending in nursing homes and only a little percentage spent in the general health care. The government is raising questions whether the amount is going to double due to the rising number of people needing abundant care and support. Since 80% of the budget set aside for the long-term care is spent in the utilization of nursing homes, the access to finance required to support the LTC requires great attention to other factors such as expenses concerning utilization of health care, housing facilities, and the LTC beneficiaries and their family members. The government, therefore, should be reducing the use of nursing homes and consider replacing it with home care. Nursing home care victims who are registered every year are about 60% and only 35% of the total budget is utilized. Setting a larger section of the budget on nursing home care will help medics assist in the long-term care for older adults at a greater detail. Matters concerning the distribution of care is attributed to access, quality of care and cost. One of the steps that should be considered here is covering the LTC patients with public insurance, although this will not very effective since the majority of patients are very old and may die before benefiting by the insurance plans. Statistics show that only 13% of patients will benefit within a one year stay in the nursing homes, while 70% will die within a one month stay. Fortunately, the insurance for LTC patients is available but there exists only a small number of policies which doesn’t provide enough care for the older patients – insurers are concerned only about risks attributed to the LTC. Moreover, people don’t consider buying such policies as much. Now, to rectify this problem, and to make sure enough care is given to older people, the government should consider developing schemes that will protect insurers against such risks. This will ensure success in the distribution of LTC to the elderly.